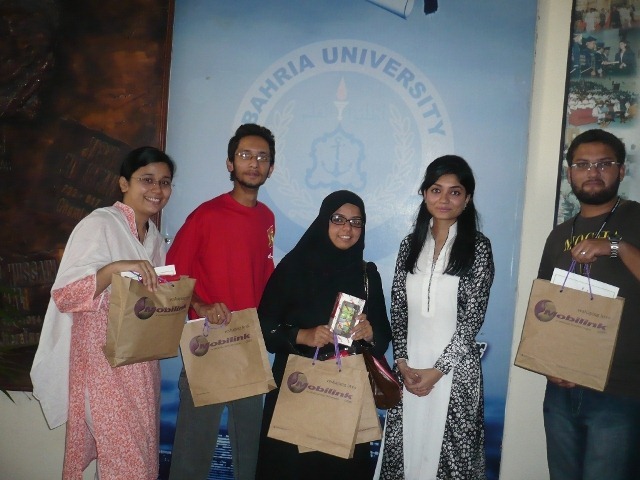 After holding a successful Motorola Flip-out Such Hunt in NUST Business School, Islamabad, Jazz Jazba team went to Karachi to organize another interactive Such Hunt in Bahria University. 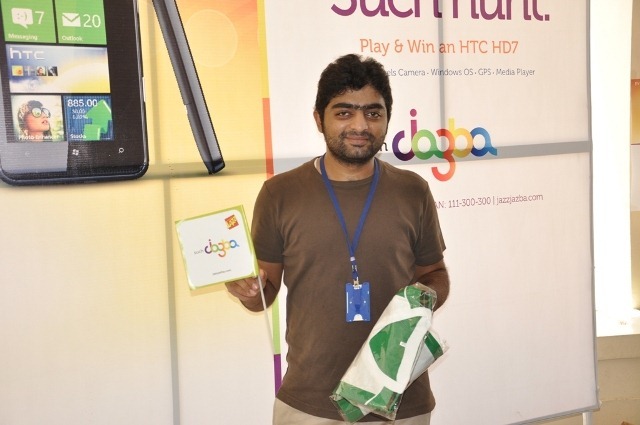 This time around, the Such Hunt was for HTC HD7 phone to be given out via an online campaign after an extensive Jazba flags hunt to qualify for the online contest. 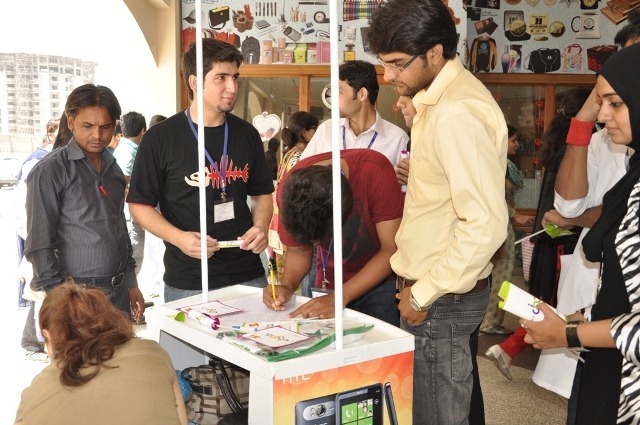 A total of 50 Jazba flags were hidden in different areas of the University and over 500 students visited the Jazba booth set at the campus and looked for the hidden Jazba flags. 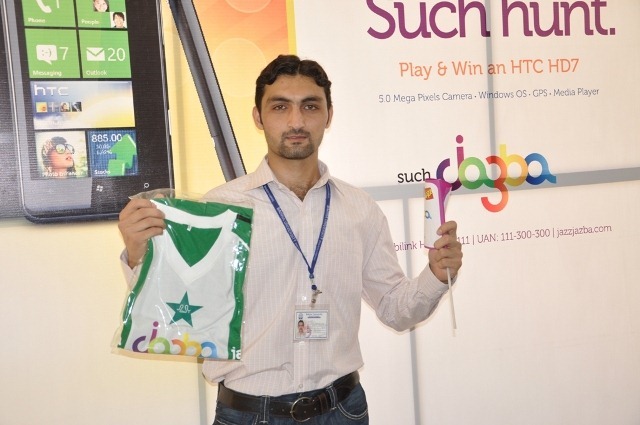 Lucky 50 students who managed to find the Jazba flags won Jazba T-shirts and were entered into the online contest with hopes of winning the HTC HD7 phone. 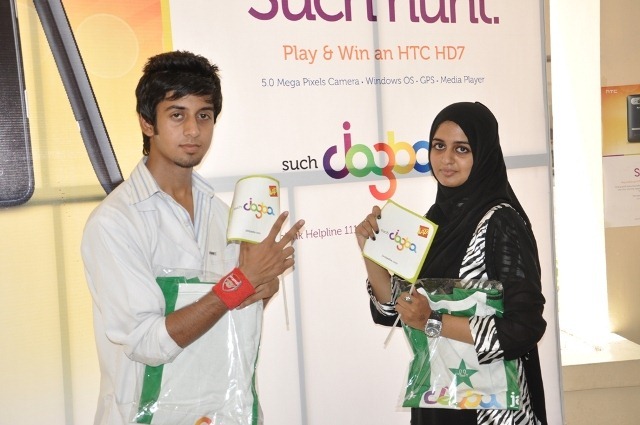 At the end of online contest Ayesha Anees Zaveri, student of BahriaUniversity won the amazing HTC HD7 phone. 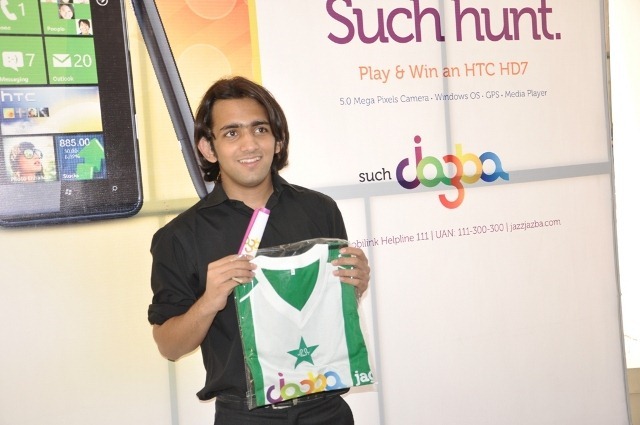 “That was an unforgettable and incredible moment of my life, when I unpacked my HTC-HD7, gifted to me by Jazz Jazba. 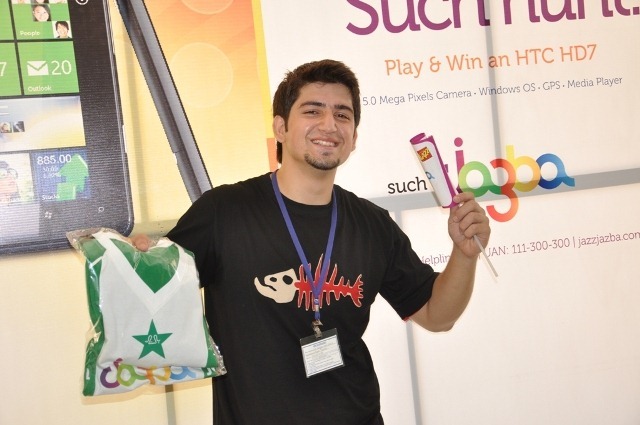 When I participated in the contest, I wasn’t sure that I will win. 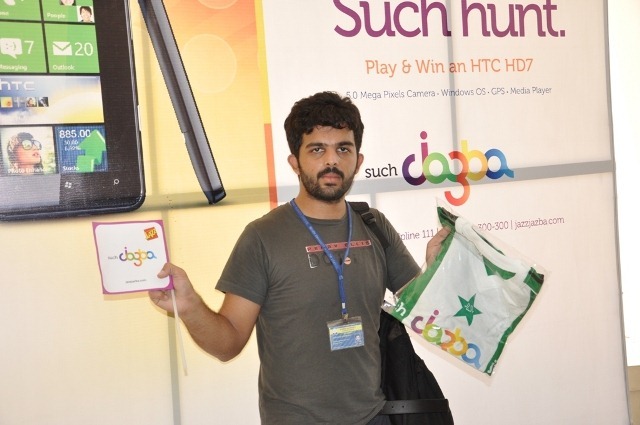 I just participated for fun. Due to the support of my friends and family who voted for my picture on Jazz Jazba facebook page, I was declared the winner. 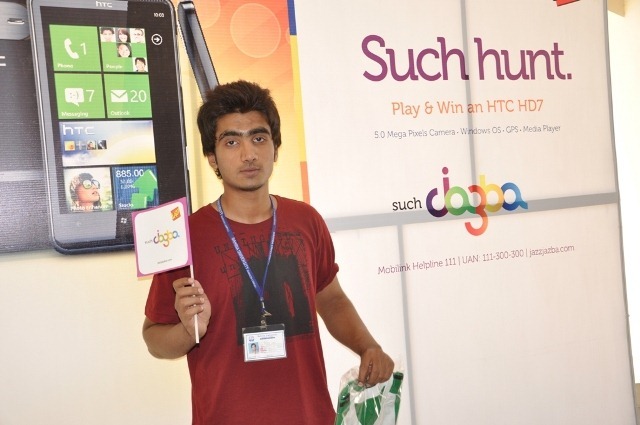 Its a gimmick of big cell phone companies to hook young college souls and have them pay up. 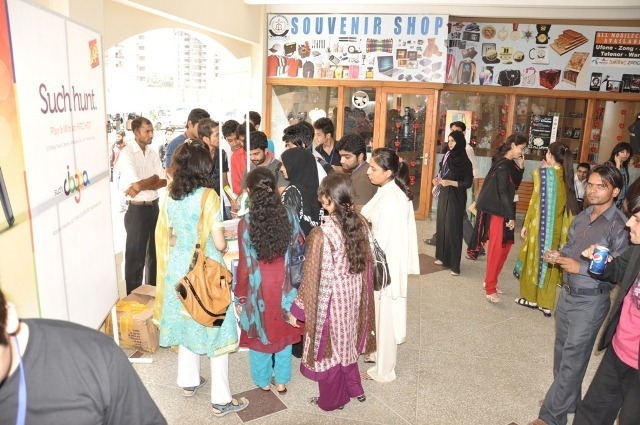 We should ban ALL such consumerism from local schools and colleges. Our students need to grow up in an atmosphere where financial status, the number of gadgets you have etc. 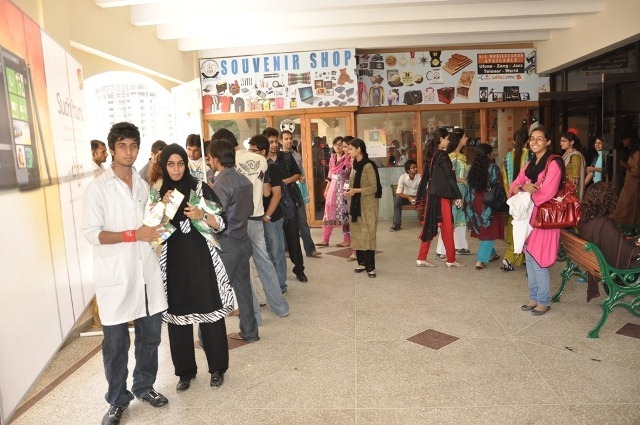 is secondary to the pursuit of academic knowledge. mocking aside, categorizing such activities as creative and mentally healthy is nothing more than corporate hoopla aimed at increasing their customer base. If these “activities” were really aimed at increasing academic excellence than the rewards should have been something related to education such as scholarships or at least a month’s fees. i have a completely different take on the matter. 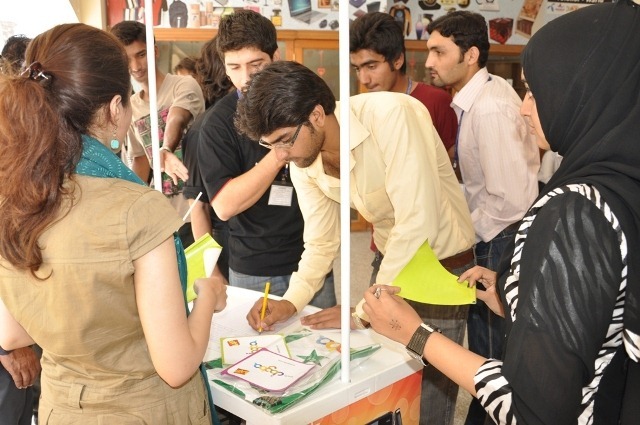 i think such events provide productive platforms for students to engage in extra curricular activities that do not only provide healthy entertainment but also help students boost confidence. 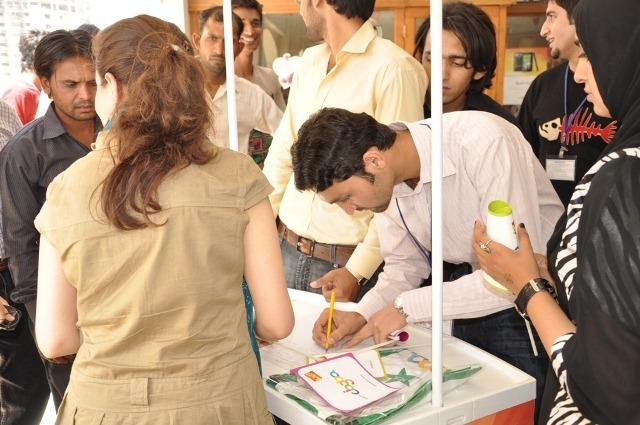 jo bhi hai bhayoon.. i reeeaally enjoyed the one help in my university, NUST Business School.